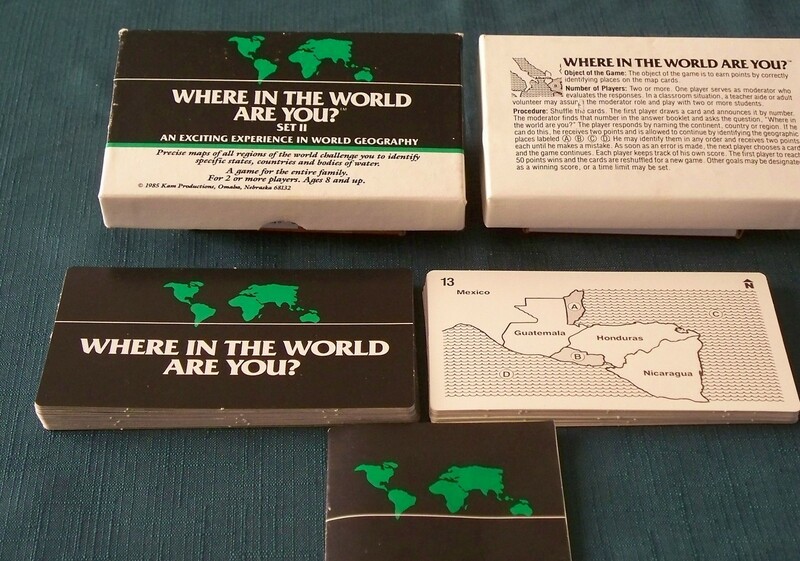 Where In The World Are You? 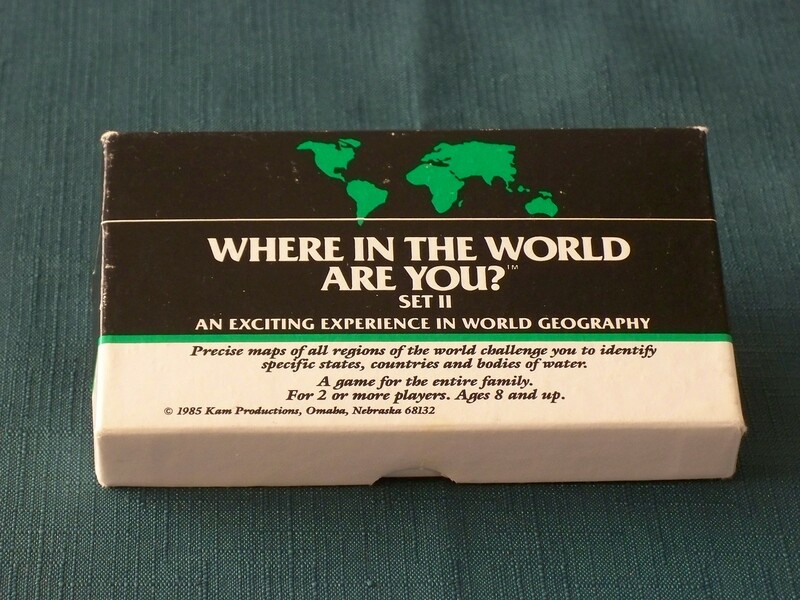 Set II geography card game by Kam Prodcutions 1985. The game is complete and the cards are in very good condition. Box has very little shelf-wear with no split-corners. The object is to earn points by correctly identifying places on the map cards. For two or more players. One person must serve as the moderator. An answer booklet is included. 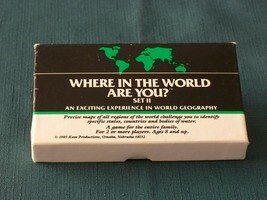 A great fun way to upgrade one's geography knowledge. Ship to U.S. addresses only.